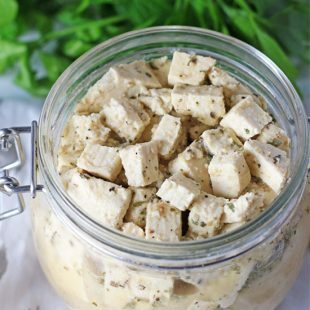 This vegan Tofu Feta is a perfect snack on its own or to add to salads or sandwiches for some tangy flavor. While I’ve always been a cheese freak (as you may have read in my Chipotle Queso post), feta was never one of my favorites. I always wanted to like feta but it never “spoke” to me like other cheeses did. I’m not going to lie, it wasn’t so much the taste of the feta, I think the problem was the smell. Is anyone else with me on this? All of my apprehensions with feta disappeared when I tried a vegan tofu feta from a restaurant in NYC. The taste was so good and the best part was that there was no smelliness that I’d come expect with regular feta. Who would have guessed that a vegan cheese would have turned me on to loving feta? I asked the waitress how the restaurant made such a great tasting vegan cheese. 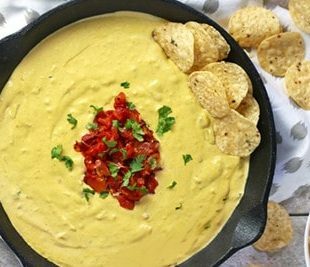 She said people asked her that all the time and although she couldn’t give out the full recipe, she let me know about a few little secrets: they marinated it in some dairy-free milk, oregano, and miso. I’ve been playing around with a tofu feta recipe based on those ingredients and I think I have come up with a tasty version of my own. I didn’t have oregano so I figured I’d try an Italian spices blend which seemed to work out well. I also threw in some acidity for that feta tang and of course, some nutritional yeast because what vegan cheese doesn’t taste better with a little nooch? 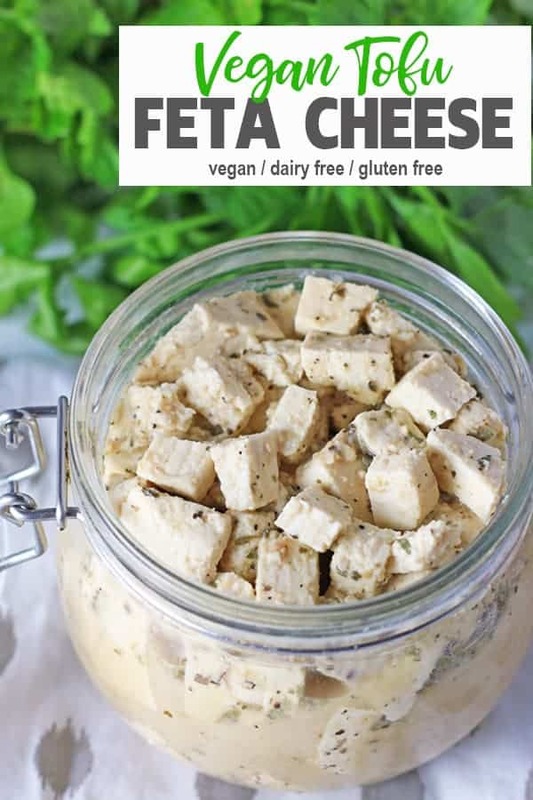 I’m very excited about sharing this new vegan tofu feta cheese recipe with you! I hope you enjoy! 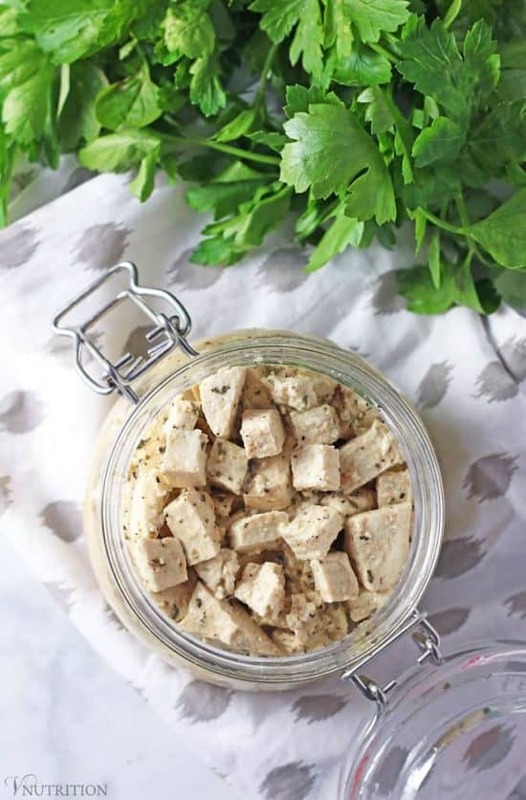 If you make this vegan tofu feta recipe, let me know what you think by ★ star rating it and leaving a comment below. Mix all of the ingredients in a bowl except for the tofu. 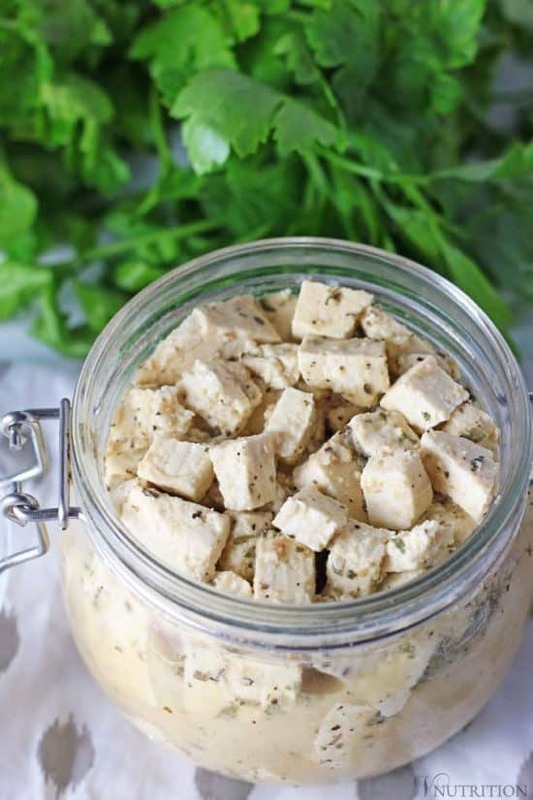 Cut tofu into small bite size pieces and place in a glass container large enough for the tofu to be fully covered by the mixture. Pour mixture over tofu, cover, and place in refrigerator overnight (or for at least 6-8 hours). The longer the tofu sits in the mixture, the tastier the feta will be. Tofu will last in the fridge about 5 days the tofu is kept in the liquid. Nutrition info includes the marinating mixture. Calories etc will be a little less if you're not ingesting the mixture as well. Like my Tofu Feta recipe? It would be so wonderful if you could give it some love by sharing! Oh wow! This looks so easy! I need to try it. Thanks Becky – it’s so easy to make – the hard part is waiting for it to marinate! I hear ya on the smell! I never would have thought to use non-dairy milk in the marinade. Such a great idea! Oh good, I was wondering if anyone else felt the same way on the smell! I wouldn’t have either but the waitress really helped me out! We’re tofu feta twins! I need to try yours too. It looks really good! I know what you mean about feta – it is not something I was ever that keen on but some dishes demand it. 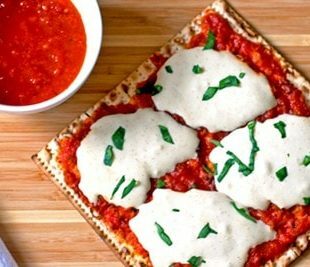 I tried a vegan feta this year and it was so soft that I was not impressed – I notice you have an extra firm tofu and I think this might work for me better! though mine did bake up into muffins well. The miso sounds like an interesting addition. Yes, some dishes totally benefit from the feta. The extra firm does work well, I think it holds up a little better. I can’t wait to try this! I have been in search of a good feta recipe for years and this one looks like it might be exactly what I’m looking for! Thanks! I can’t wait to try this! I really do miss feta. This looks GOOD! Hi Rosemary – thanks so much! Oh, nice catch – I’ve updated the protein now! This is such a great recipe, perfect for salads. Can’t wait to try, thanks! Ok, well feta has always been a favorite of mine! And I make a tofu feta too1 So delicious! 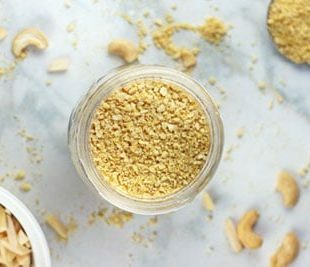 Wha a delicious way to prep tofu – and so versatile too. You have changed how I eat my salads forever! This is a wonderful recipe. I had to omit the salt but it didn’t hurt it one bit. This is very easy! The hard part is waiting for it to marinade. I’m so glad you like it Traci! It’s been my go to on salads lately too. 😊 And thanks so much for letting me know! 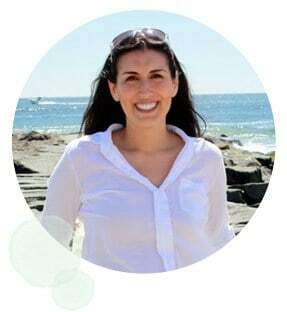 Hi Alla! I use a tofu press like TofuXprss or EZ tofu press so the tofu usually stays together with one of those. Before I got a press, I’d use a plate above and below the tofu and then put some cans on top of the plate. I use the extra firm tofu so as long as it’s not extremely heavy the extra firm should stay in one piece. My medium or regular firm tofu did split which can be so annoying – maybe try one or two cans to start.